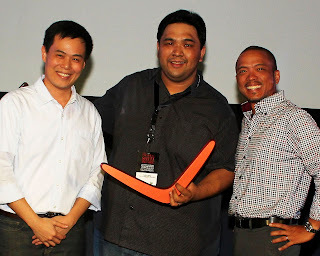 The Traffic Navigator (TNAV), powered by TV5 and MMDA, bagged the Bronze Boomerang for Innovation at the 2011 Boomerang Awards organized by the Internet and Mobile Marketing Association of the Philippines (IMMAP) last August 18 less than two months following the release of TNAV’s public beta version on June 29. 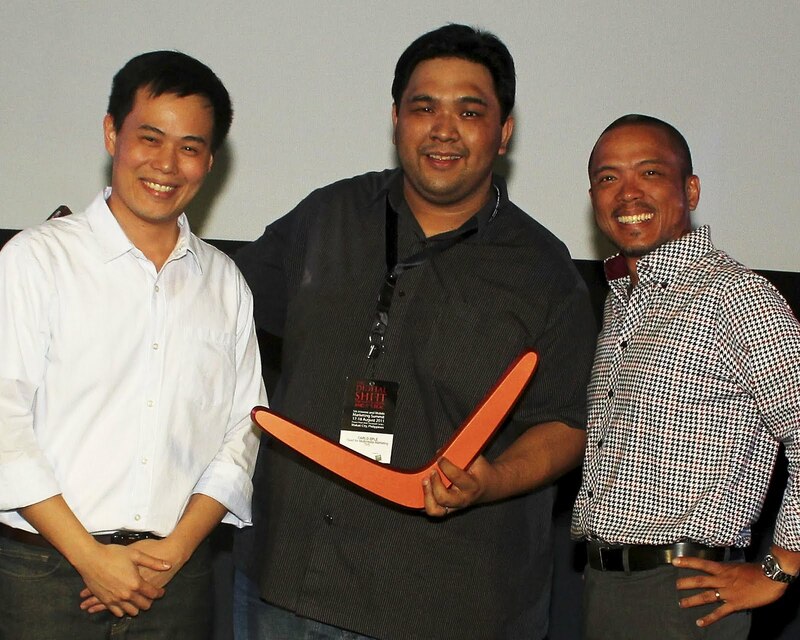 IMMAP President Hans Eric Roxas-Chua (left) and Director TJ Parpan (right) presented the award to TV5 multimedia head Carlo Ople (center), who received it on behalf of Roby Alampay, editor-in-chief of TV5 online news portal InterAksyon.com, and Atty. Yves Gonzalez, MMDA director for traffic. TV5’s online news portal is the host site of TNAV. "This was the result of a genuine public-private partnership between TV5 and the MMDA, highlighting the power of technology to improve life in our country and elsewhere," said Roby Alampay. Touted as the easiest and most effective way to view the traffic situation in Metro Manila’s major thoroughfares, TNAV is also a finalist at the Digital Filipino Social Networking Awards 2011. The TNAV was designed and programmed by the team of Stray Interactive, led by Ninoy Leyran. Recently, TV5 has launched its new iOS app InterAksyon. The free app is downloadable from Apple’s App Store and comes bundled with easy, instant access to the TNAV.